In this family photograph of about 1917 Aileen Stace sits in the foreground. Standing at the rear is brother Herbert. 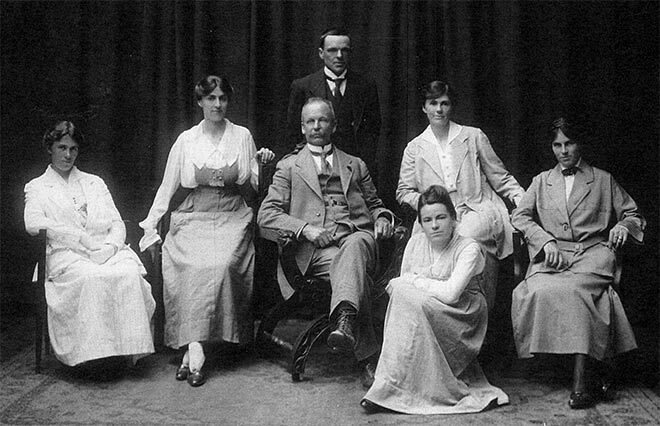 In the middle, flanking her father, Thomas, are Aileen's four sisters: Mabel, Olive, Myrtle and Linda.